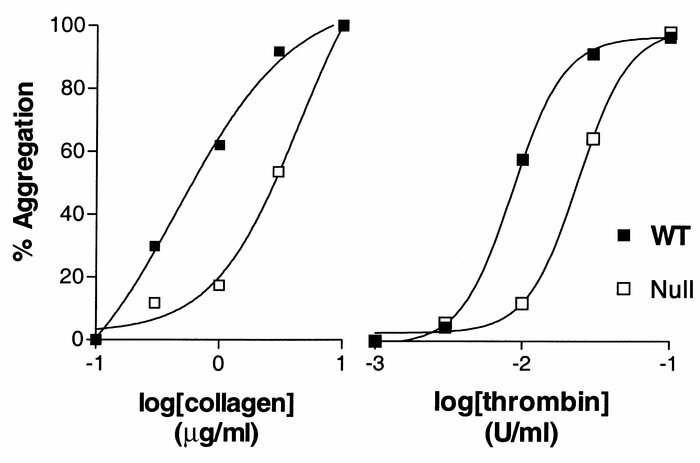 Concentration response curves for platelet aggregation. Washed platelet aggregation was tested using the Bednar technique (24). The extent of aggregation was determined after 2 minutes. Each data point represents the average of three determinations. The plots were derived from a single typical experiment that was repeated two to three times with similar results.